# MS-1329, ProChem Steam Integrators go inside the pouch to test actual steam penetration. 250 Tests per box. 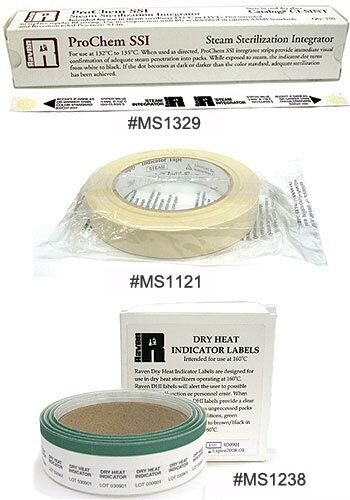 # MS-1121, Steam Indicators on adhesive roll. Tear off any length.